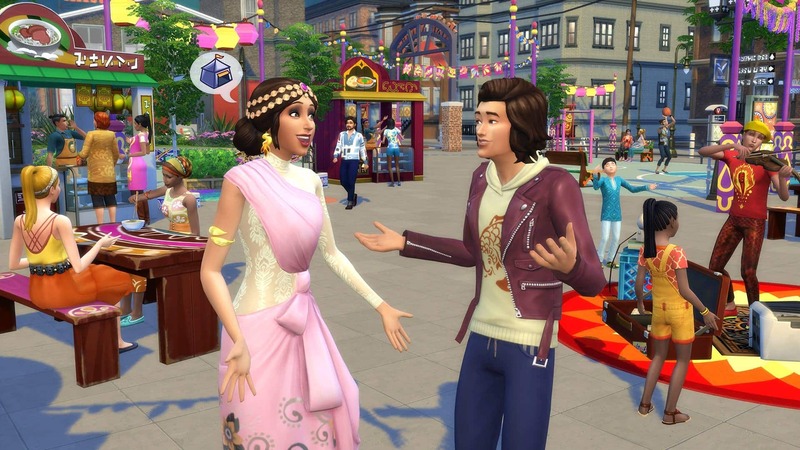 Discussion in 'The Sims 4 City Living' started by Kai Chen, Sep 12, 2016. As features are revealed, they'll be added. A culture similar to Chinese /Japanese / South Korean Will be represented. A culture similar to Indian will be represented. A Harry Styles hair style will debut. A new, small man-bun will be added. Architectural, cultural and neighbourhood diversity will be part of the city. Arts Quarter is one of the new four neighbourhoods. Bowling is something you can play at the console. Busking - sims will play music for money. Colourful headbands will be part of a new hairstyle. Critic is a new career. Ethnic fashions will be introduced. Fashion District is one of the new four neighbourhoods. Five new festivals will be introduced. Food eating contests, including flaming food! Four will be the number of new neighbourhoods. Graffiti / Mural painting is a new activity. GeekCon (similar to Comic Con) is one of the festival. In penthouses, you will be high above, overlooking the city! 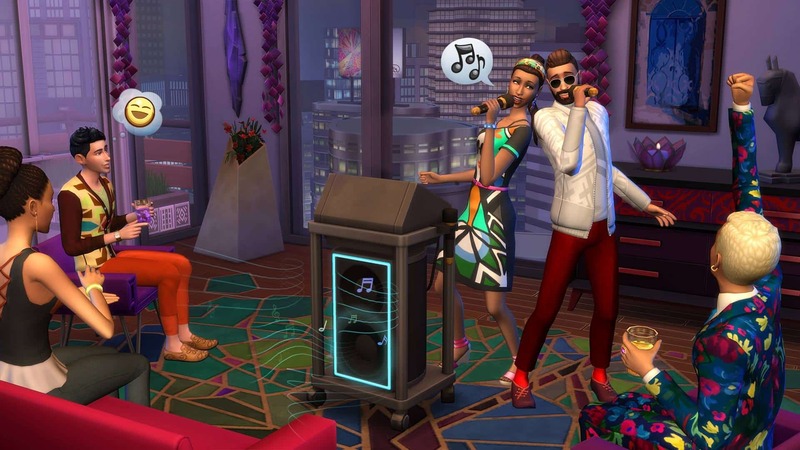 Karaoke and karaoke bars will be included and sims can duet. Landlords will restrict your options. Myshuno Meadows is the new park, where you can enjoy nature and take part of festivals. Neighbours can come in and shower at you place. Neighbours will check their mail in the common area. New tattoos will be added. Penthouses are like having a regular lot top atop of a building, without construction restrictions. Politics is a new career. Politicians can make dramatic speeches while fighting for a good cause. There are two branches in the Politics career. Romance Festival is one of the new five festivals. It features fireworks. San Myshuno is the new city! Social Media is a new career. Some lots will be very high up and you see the city all the way down. Spice District is one of the new four neighbourhoods. Spice Festival is one of the new five festivals. It features the Curry Challenge. Talking toilet makes its debut! There will be a new world, city-themed. There will be decorative fast traffic. There will be decorative trains / monorails. There will be flats and penthouses. There will be food stands. There will be modern, colourful clothing and hair. There will be tacky, American-tourist-like clothing and accessories. There will be underground signs - not confirmed if only decorative. Tourists will be able to consult maps. Uptown is one of the new four neighbourhoods. You can hear strange noises from your neighbours' flats. Like woo-hoo. You can give a key to your place to a neighbour. You can only have flats in the new world. You can receive unexpected visits from your neighbours. You cannot create your own flats. You only have pre-designed shells. 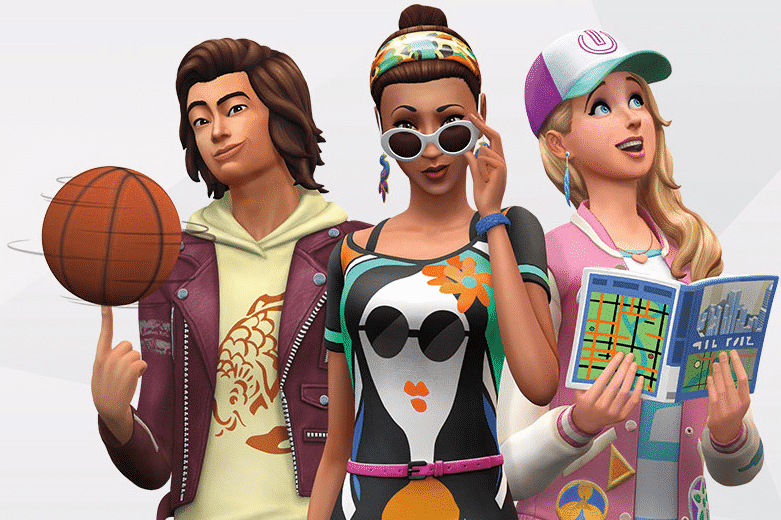 Your sim can knock on neighbours' doors to complain about the noise. 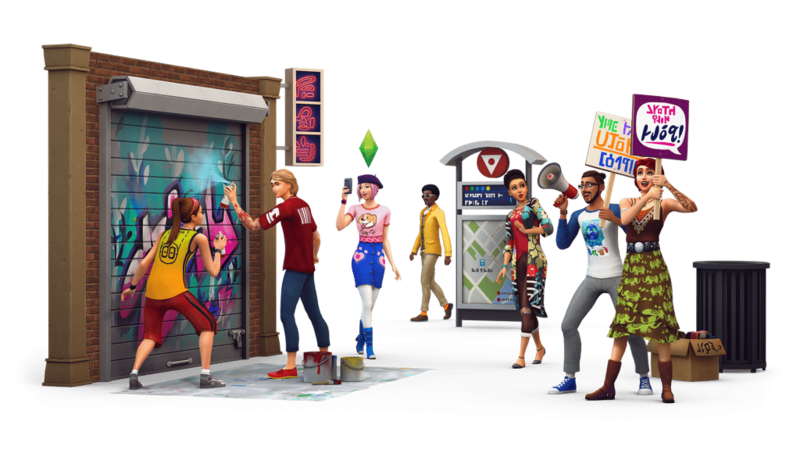 The Sims 4 City Living releases worldwide for PC and Mac November 1, 2016. Considering everything else in that leak has pretty much been confirmed and it was part of the EA official survey, I feel confident enough to include it, at least for now. Always pleased to make people laugh! i really hope they bring back the celebrity system, but also i'd prefer if sims didn't become celebrities from dumb things such as getting sold fish from a celebrity. It doesn't seem a celebrity system will be part of this. It seems EPs no longer have life states. The person who leaked everything that turned out to be true said there wouldn't be a new life state in City Living. Yes. And it was already on the list. I like the new approach much better. This is exactly what a metropolitan-themed EP should be like. I can't wait! I can't disagree with that. As far as the theme goes, they explored it very thoroughly. Does anyone know whether the 3 new careers are all active?